The past nine days have been busy and somewhat fruitful … well, everywhere except this blog. Carrie, Nikki, and I enjoyed a weekend in Birmingham (that’s Alabama, not England—though Lord knows we all probably wish it were) with some of our college buddies. All told, the seven of us had not all been in the same room together since May of 2007, so it was a wonderful, jam-packed reunion filled with laughter, booze, shopping, cheesecake, reminiscing, Carrie’s utterly delicious pasta sauce, Wii antics, and a long round of Apples to Apples. I don’t think any of us really wanted to leave come Sunday, but alas—life awaits. The weekend also gave us a chance to celebrate my birthday (albeit a month after the fact) and I must say, I racked up on the movie-themed goodies. Carrie gifted me a gorgeous Disney-fied Alice in Wonderland tote bag, Nikki indulged my Bette Davis obsession with the TCM Greatest Classic Legends Davis collection, and our pal Megan (familiarly known as “Hobbit”) gave me a beautiful coffee table book, Katharine Hepburn: A Life in Pictures. And the day before I left on the trip, I received a package in the mail from my bestie, Lisa: a gigantic, fantastic encyclopedia on film noir. Thanks, ladies, for such lovely presents! The movie geek in me is still squee-ing with glee. Over the weekend, Carrie, Nikki, and I also had a chance to talk about how pleased we are with the success of True Classics. Last week, our humble little slice of the blogosphere reached a new milestone: 175,000 hits! It’s a little crazy—we’ve been in existence for only a year and a half (and much of that initial “half” was, admittedly, marked by incredibly sporadic posting), but we have felt nothing less than wholehearted welcome from the classic film blogging community (truly some damn fine folks, indeed). We are constantly in awe of all of the supremely talented bloggers who share their love of old Hollywood with the world, and we are glad to be counted among you. Speaking of which, we continue to have a great response to our upcoming “Loving Lucy” blogathon (less than two weeks to go! ), and we’re looking forward to seeing what the 30+ participants have to say about the beautiful, brilliant, boisterous Ball (don’t you just love alliteration?). But we’re not the only ones planning a shindig, and there are a couple of upcoming events that we can’t wait to participate in ourselves! First up, in the wake of his highly successful Roger Corman Blogathon earlier this summer, Nathanael of Forgotten Classics of Yesteryear is hosting another event: a 50s “Monster Mash,” focusing on monster movies from that decade! The shenanigans start this week (Thursday) and run through August 2nd. 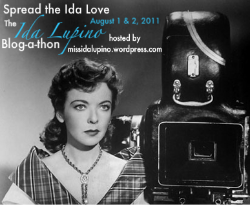 Then, Jen at the Ida Lupino Blog is throwing a “Spread the Ida Love” blogathon on August 1st and 2nd. Lupino is a favorite of mine, particularly because of her move behind the camera as a pioneering female film director in a time when there were no women taking on that role in Hollywood. This will be a much-deserved tribute to a legendary woman, and I’m looking forward to participating in this one! 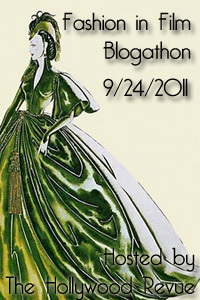 In September, Angela over at The Hollywood Revue is putting on a “Fashion in Film” blogathon on the 24th. I love me some Hollywood costumery, so this will be a fun event. Finally, from October 6th to the 9th, Vincent over at Carole & Co. is hosting a “Carole-tennial + 3” blogathon to honor his gal Carole Lombard’s 103rd natal day! I’ll be all over this one—I haven’t decided what to write about yet, but with Carole, you’d be hard-pressed to come up with a “bad” topic! Needless to say, there are lots of juicy happenings up ahead! Are you participating in any of these events? And are there any upcoming blogathons that haven’t been listed here that might be of interest? This is non-movie related but it excites me that you are from the south too! It seems like there aren’t many bloggers from the south (let alone the east coast) I live in SC, but I lived in Dothan, AL for 6 years. Yep–all 3 of us are from here! Carrie is on the MS Gulf coast, Nikki’s our Birmingham connection, and I’m in Atlanta. I love “meeting” other bloggers from this neck of the woods, too! Speaking of blogathons, are you going to be joining us on August 6th for our Lucy blogathon? We’d love to have you if you can! Thanks for plugging “Carole-tennial(+3)!” It promises to be plenty of fun, and I await your contribution. Jnpickens, I guess I’m from the south too (if Lynchburg, Va. counts). Jessica–wonderful! I’ll add you to the list of contributors. Vincent–no problem! I’m seriously looking forward to it.